7 Cool Music Videos -November. Top 5 Ice Bucket Challenges-Why it’s so cool. India’s Independence Day: What Foreigners know. Sign up for exclusive discounts and monkey news! February isn’t just the month for romancing and butterflies. It’s time to get in shape for summer and of course, wearing our tees! So dance your way into shape with these 14 (see what we did there) tracks that are sure to make you smile like our monkey! 1) “Sacre Cool”- Young Montana. Young Montana isn’t from Montana. Neither is he that young. This little- known artist builds a baroque architecture of stray chords, chopped vocals and vaguely familiar groove,along with the usual worship of the 8-bit world and J Dilla’s three-track soul. The video itself a tribute of sorts to retro chic dancing, and one segment of the dance is starkly similar to the dance form film director Anurag Kashyap had used for the bar dancers troupe that he depicted in his runaway hit back in ‘09, Dev D. Enjoy! 2) “Weapon of Choice”- Fatboy Slim. This blast from the past is a total must watch- if you don’t smile at some point after watching this, we might possibly remove the smile from our monkey. What?? Who is Fatboy Slim you ask? That British DJ, musician and producer who specializes in dropping old school beats in electronic dance music of course! Popular right from the 90’s! Think his name was Norman Cook if we aren’t mistaken. You wouldn’t be naïve enough to believe Fatboy Slim was his ACTUAL name…right? 3) “Turn up the music”- Chris Brown. 4) “Drop the Game”- Flume VS Chet Faker. Harley Edward Streten better known by stage name Flume was born on 5 November 1991 and grew up on the Northern Beaches of Sydney, where he still resides. He began creating music at about the age of thirteen, with a basic production disc that was packaged in a box of cereal. Fast forwarding to the present, flume created Australian Ocean like waves, not just ripples ,in the electronic-pop music scene with a couple of number ones like Holdin’ On. Collaborating with fellow Australian artist Chet Faker, the duo released a much needed soul-soothing track earlier this year. 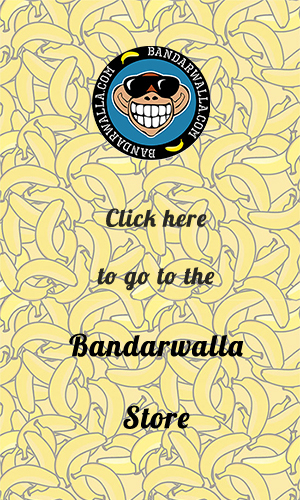 Here at Bandar HQ, we loved the video and if you truly appreciate dance as an art form, you’ll go bananas over this one too. 5 ) Here it goes again- OK GO. OK Go is an American alternative rock band originally from Chicago, Illinois, but now residing in Los Angeles, California. The band is composed of Damian Kulash (lead vocals, guitar), Tim Nordwind (bass guitar and vocals), Dan Konopka (drums and percussion) and Andy Ross (guitar, keyboards and vocals), who joined them in 2005, replacing Andy Duncan. They are known for their often elaborate and quirky music videos, and this is the one that they shot to fame with. We urge you to try this at home/at your local gym. Or maybe not. 6) “The way you make me feel” – Michael Jackson. Step aside all ya pretenders. Real deal coming right through. No one has rocked the dance scene like this legend who needs no introduction. Gliding through with his apparent anti-friction shoes, he rolls out moves which are bound to charm any woman. Step up your game this February boys. No one questioned it when Radiohead, the band from Oxfordshire, England, opted for a full-on dance extravaganza from frontman Thom Yorke instead one of their usual cinematic videos, and you can see why. The man’s got moves. Formed in 1985- this band till date never disappointed anyone who appreciated alternative/ experimental rock. Plug in and enjoy. Toronto-based dubstep/house act Zeds Dead — named after a line from Quentin Tarantino’s 1994 film Pulp Fiction — are a production duo consisting of DC and Hooks. The two first formed the hip-hop-oriented Mass Productions in 2004 and released an independent album, Fresh Beetz, three years later, but they switched to Zeds Dead in 2009, embracing house and the direct, physical side of dubstep. Throughout 2010 and 2011, they were increasingly active. They released material on a number of labels, including Kissy Sell Out’s San City High, Steve Aoki’s Dim Mak, and Diplo’s Mad Decent; remixed tracks by Blue Foundation and the Electric, and they also toured extensively throughout the U.S. Their first release of 2012 was Adrenaline, an EP issued on Inspected that balanced blitzing dubstep tracks with lower-key breakbeat workouts. Enjoy the slickest dance moves to this brain shattering track performed in zombie-like mode! Missy Elliott was born in Portsmouth, Virginia, on July 1, 1971. Elliott worked as a songwriter and producer before getting her own record label. Her inventive style and ability to transcend hip-hop’s ideas about women gave her five platinum albums in a row—including her debut album, Supa Dupa Fly—and numerous honors, including five Grammy Awards. With success as a performer, songwriter and producer, Elliott became hip-hop’s first female mogul. In this video she collaborates with Ciara and a troop of dancers to show us that she can shake that biscuit like a red-butted baboon. 10) “What does the fox say”- Ylvis. Speaking of dance steps that nailed it(does this one count? )…to the video of yesteryear that needs no introduction- we give you ‘what does the fox say’. As expected, we love our fellow animals who make appearances in this epic video. As for what the fox ACTUALLY says.. if you really really want to know, buy a few products from us bandars, and we might just spill the beans. Dirty Vegas is a Grammy Award-winning British house music trio made up of Ben Harris and Paul Harris (no relation) on instruments and production and Steve Smith on vocals. The groups formed in 2001, then broke up in 2005 before reforming in December 2008 to record new material and continue to churn out new releases till date. The music video for the song is unusual in that it largely consists of two dancers representing one character performing a routine of popping, locking, the robot and break dancing. The performance occurs in front of Chroni’s Famous Sandwich Shop in East Los Angeles, California, and tells the story of a dancer who shows up once a year and dances all day from sunrise to sunset. He dances in hopes of bringing back a lost love, who left him because he couldn’t stop dancing. We understand that V-day isn’t quite the same for everyone, and that some hardened souls may prefer to be blissfully ignorant of all that is happening around them. Dance your blues away with this one and always remember to express yourself. 12) “It’s like that”- Run DMC vs. Jason Nevas. Are old school beats and dance face off’s what you secretly crave returns to trend?.. Umm.. Unfortunately (we hate bursting your bubble here) we fear that may not happen again. So we bring back to you Run DMC’s hit sensation from the day, now all you need is 6 by 6 feet to show that skill we know you possess. Oh, almost forgot, this happens to be a classic boys vs. girls face off. It couldn’t get any more vintage than that now, could it?. One of the most creative dance videos we’ve come across recently, where dance and music fuse beautifully into a cohesive ying-yang , this video is bound to make you smile and is highly watchable. Dressed in colorful outfits, the choreography here is all about group coordination, and from a bird’s eye view, you can see her dancers create different formations with their bodies. 14) Bollywood on Ice- US Ice skating team. This one is basically your standard wedding set playlist consisting of a decent bit of Shreya Ghoshal which is performed…err.. on ice. US national dance champions Meryl Davies and Charlie White can take it away from here, just like they did when they won the 2010 Olympic silver. Though not officially on the list, we couldn’t resist putting this one up. Our bonus track includes bollywood “street dancer” and comedy king Govinda’s epic compilation of moves that will blow you away, trust us on this one! We guess you’re tired after all that hip-shaking/pelvic thrusting. We urge you to re-energize yourself with a kela. Till next time fellow humans.